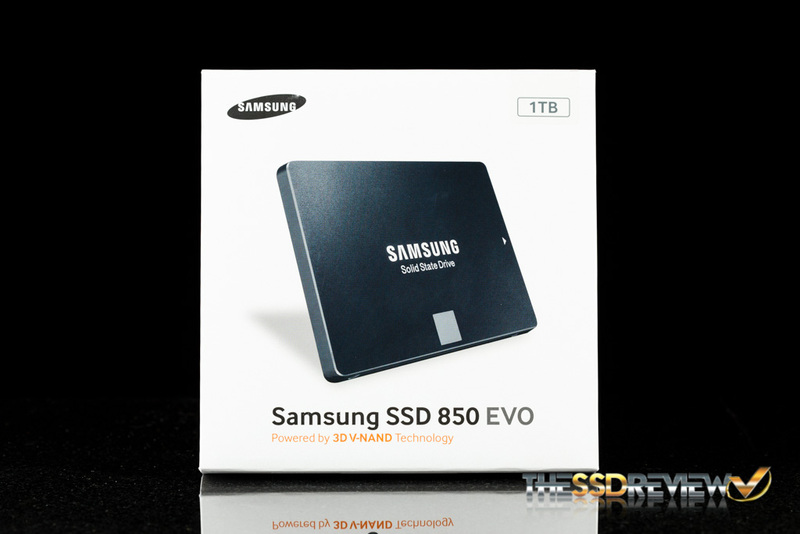 The Samsung 850 EVO is a third generation TLC NAND SSD, second 3D V-NAND product on the market, and the first SSD in the industry to feature 3-bit 3D V-NAND. At first people were weary of TLC NAND, due to the issues it presents. 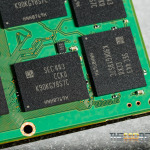 TLC NAND has much lower endurance and slower performance when compared to MLC and SLC. 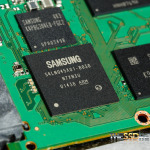 By the numbers, this speaks to a SSD that might be slower and have a lower lifespan than competing products, however, Samsung’s TLC products have proven reliable, and after with two generations of planar (2D) TLC NAND products, more people are seeing TLC NAND products as a viable option. 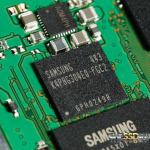 Now, Samsung have finally moved on to 3-bit 3D NAND manufacturing following their 2-bit 3D NAND manufacturing process. 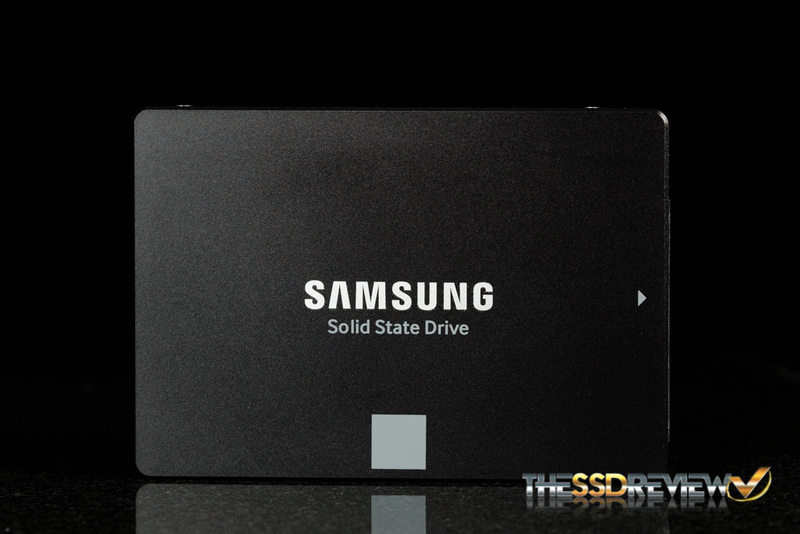 The simple truth is that, unless you are using your system for intense media projects, there won’t be any visible difference whatsoever in what you see on your PC screen as compared to any other SSD, and, in fact, this might be the ideal consumer SSD. 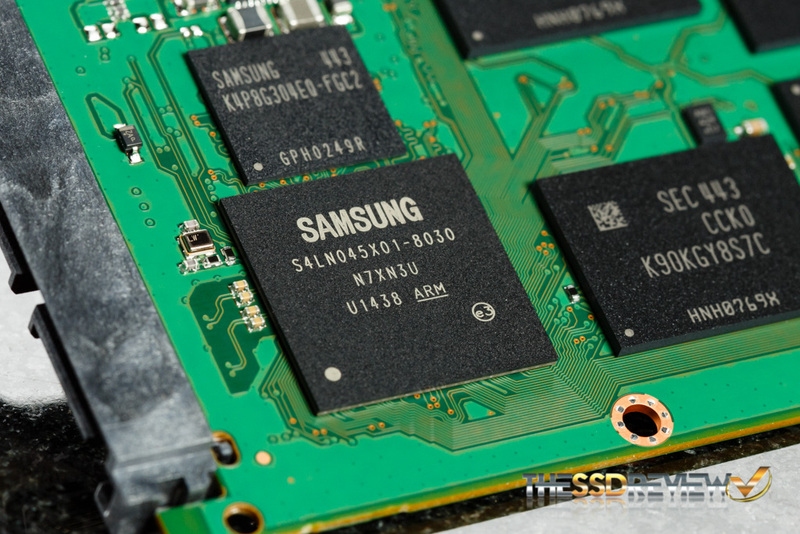 From the manufacturing perspective, the transition to 3D V-NAND is more expensive for Samsung at first, however, over time their investment will pay off. 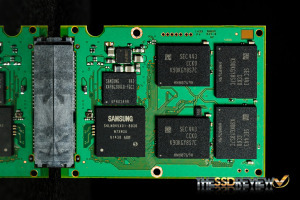 3D vertical NAND design helps to alleviate the issues of TLC NAND. It has allowed them to roll back to a 40nm lithography which allows for less cell voltage state interference from neighboring electrons and thus increases error tolerance and increase endurance. The 32 stack 3-bit cell design also provides for lower power consumption, faster performance, and greater density for manufacturing. 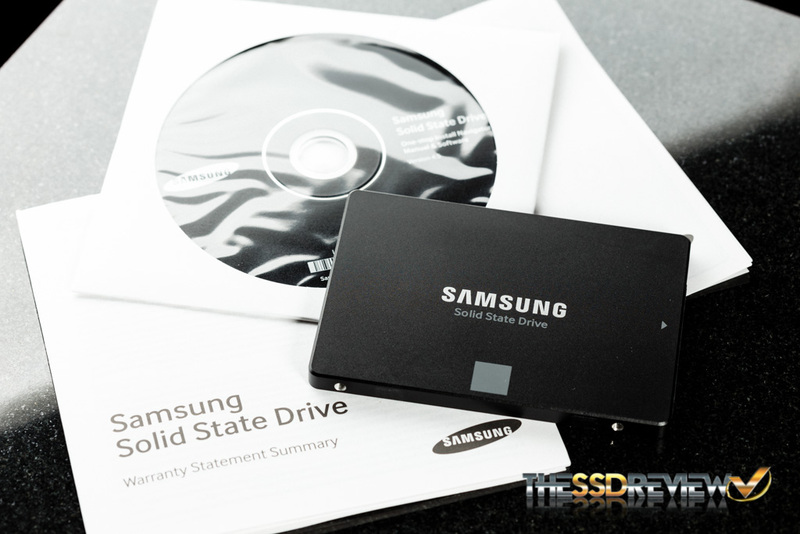 Last week we reviewed the 120GB and 500GB capacity Samsung 850 EVOs. 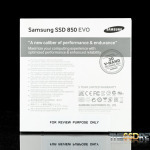 These capacities feature a new 2-core MGX controller which allows for lower power consumption than the previous 3-core MEX controller used in the Samsung 840 EVO and 850 Pro. Today’s review is going to focus on the 1TB model. 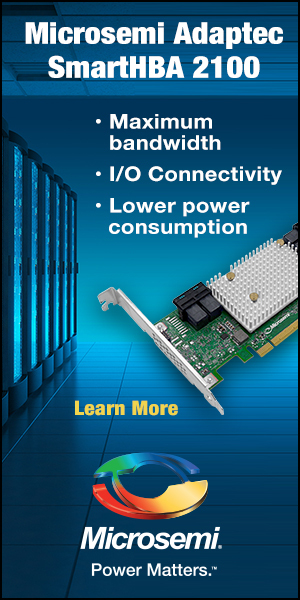 It, unlike its lower capacity brothers, still utilizes the 3-core MEX controller and should provide some better insight into the power consumption and performance differences between higher and lower capacities. 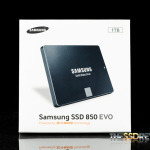 The 1TB Samsung 850 EVO comes in a 2.5″ 7mm form factor and has an MSRP of $469.99. Instead of having the same MGX controller the lower capacity models have, the 1TB model utilizes an MEX controller. 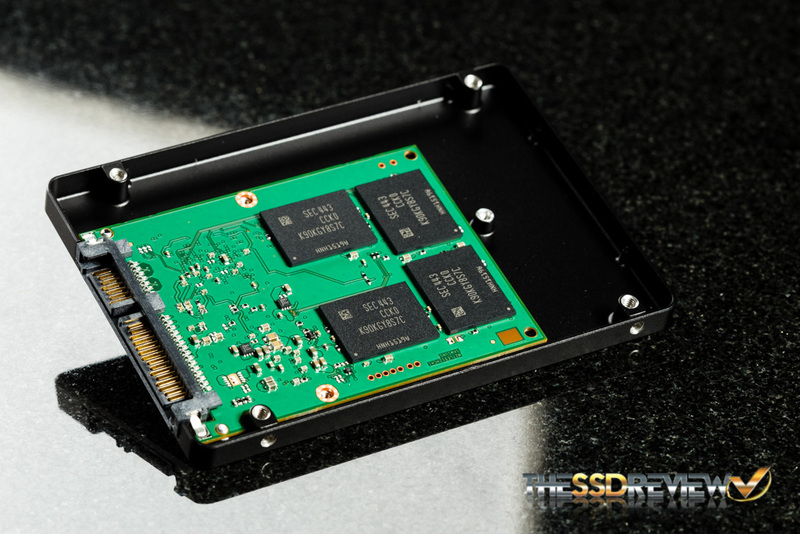 While the controllers differ, the 1TB 850 EVO still uses the same 32-layer TLC 3D V-NAND. 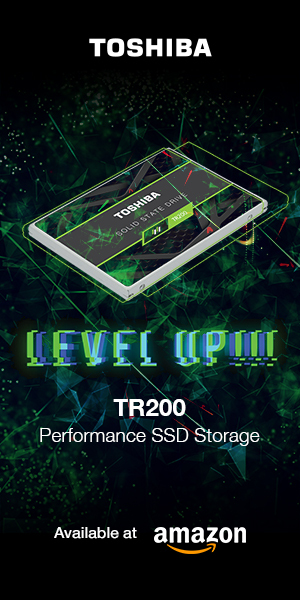 The new 3D V-NAND brings increased endurance to the table with a TBW rating of 150TBW. The MTBF rating is 1.5 million hours. Just as the smaller capacity 850 EVOs, the 1TB drive supports AES 256-bit Full Disk Encryption (FDE) TCG/Opal V2.0 and Encrypted Drive (IEEE1667). It features S.M.A.R.T., TRIM, and garbage collection. DevSleep is another feature that is supported. 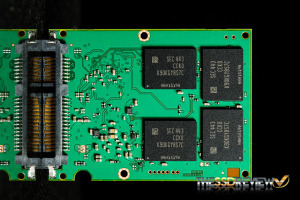 During DevSleep, the 1TB model consumes only 4mW, twice that of the smaller capacity models with the new MGX controller. On top of this, the new 850 EVO line comes with a five year warranty. 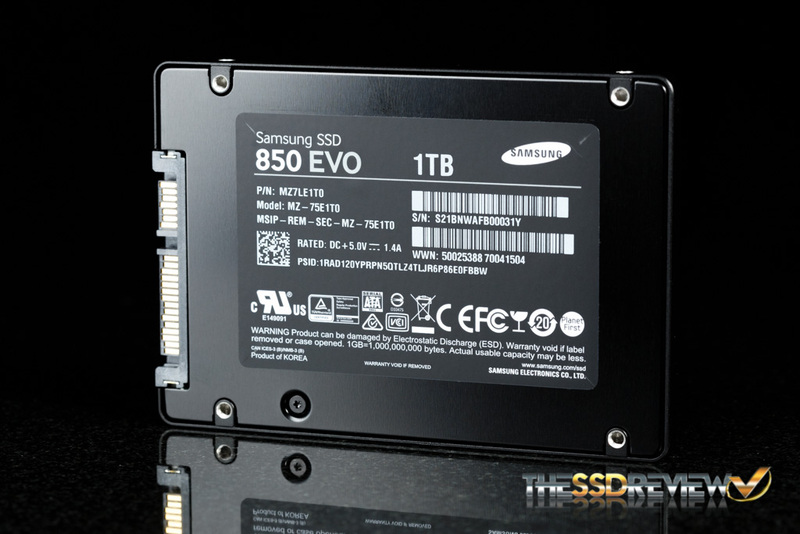 The 1TB 850 EVO is rated for up to 540MB/s read and 520MB/s write with up to 98K IOPS read and 90K IOPS write. To archive these speeds Samsung uses a firmware feature they call TurboWrite. 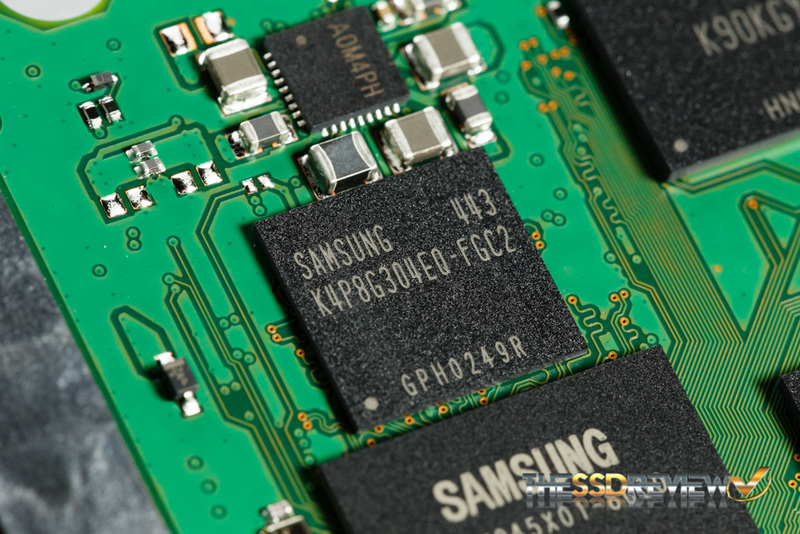 TurboWrite allows the drive to take a small portion of the TLC 3D V-NAND and simulate it as SLC NAND to achieve faster performance. The sustained speeds for when the TurboWrite buffer runs out has also increased in the new 850 EVO series. The 1TB mode should not have any speed degradation. Finally, as noted in our lower capacity Samsung 850 EVO review, Samsung’s RAPID Mode has been updated to enhance error handling and fix compatibility issues with IRST. Samsung has decided to go with a white and grey these for their packaging. 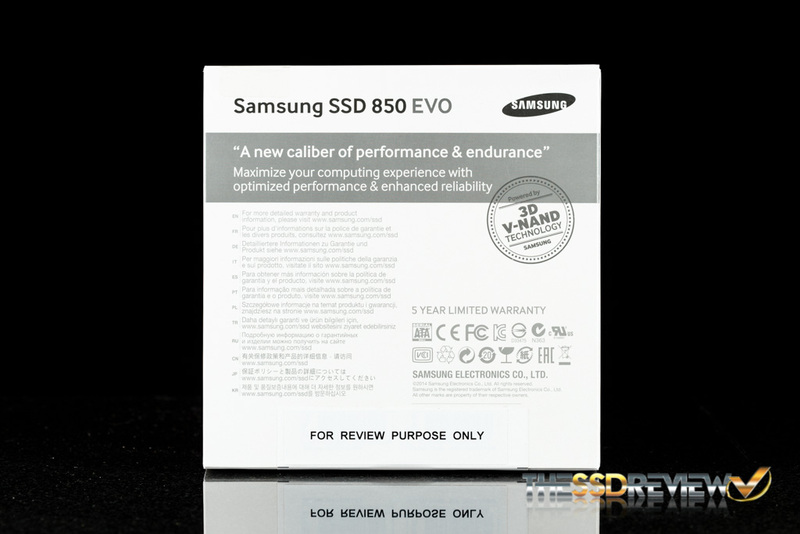 On the front they are really pushing the marketing on their new NAND; it states “Powered by 3D V-NAND Technology.” On the back they have a stamp stating it as well along with text stating its 5 year warranty. 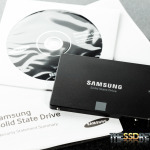 In the package Samsung includes a warranty statement, quick installation guide, and a software CD. The drive itself has a matte black finish and is accented by a grey square and text. This grey color is to differentiate it from the 850 Pro. Taking a look inside, we can see the 1TB 850 EVO contains just 8 NAND packages, a Samsung controller, and a single DRAM chip. 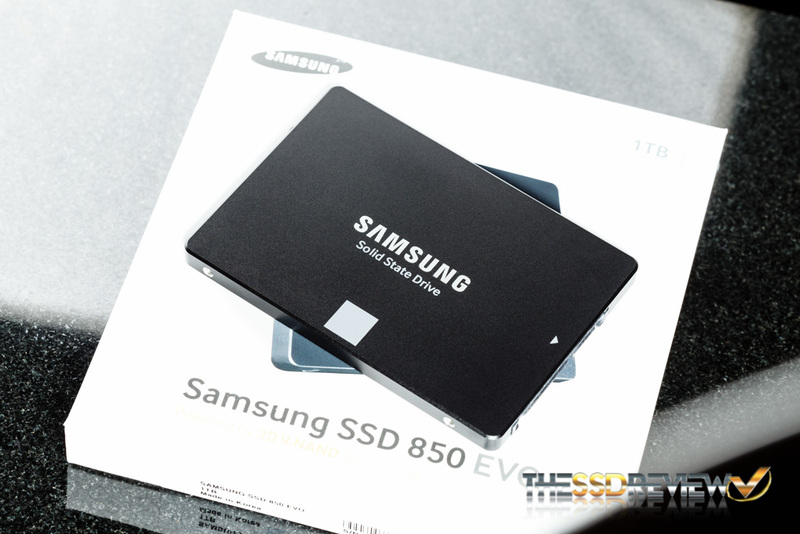 The overall design is very similar to the PCB of the 1TB Samsung 850 Pro we reviewed earlier this year. 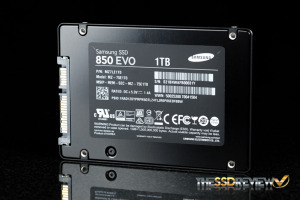 The controller used in the 1TB EVO is a 3-core MEX controller, just like the one in the Samsung 840 EVO and 850 Pro. 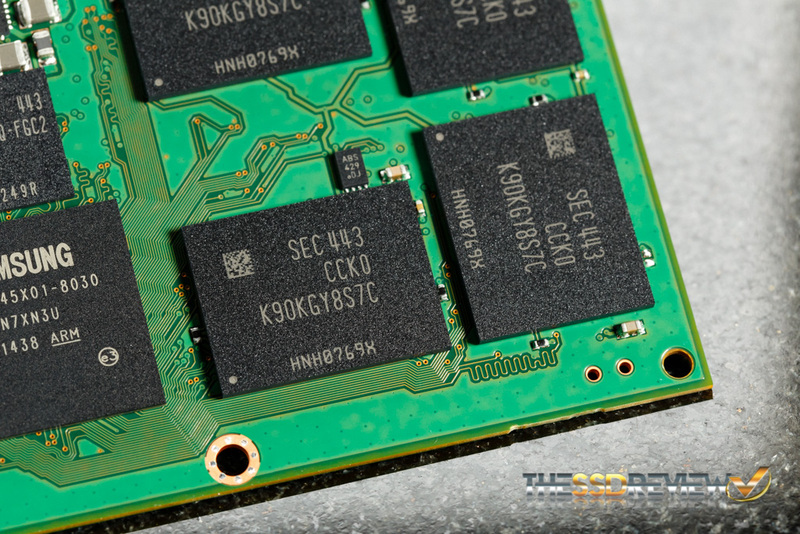 The DRAM on the 1TB 850 EVO is 1GB LPDDR2 and the NAND used in the drive is also the same as the NAND in the lower capacity models. Once formatted, the eight 3-bit 3D V-NAND chips provide for a total usable capacity of 931GB to the end user. Overall the PCB is quite small, especially for a 1TB SSD. 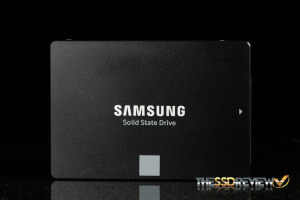 We would have really liked to see Samsung release a 2TB model to the market. A full sized PCB would easily allow for a 2TB model with 16 NAND chips.